So as not to leave a narrative thread dangling, I want to follow up on my original post about my efforts to become more “crafty” by sewing a birthday dress for Fiona. 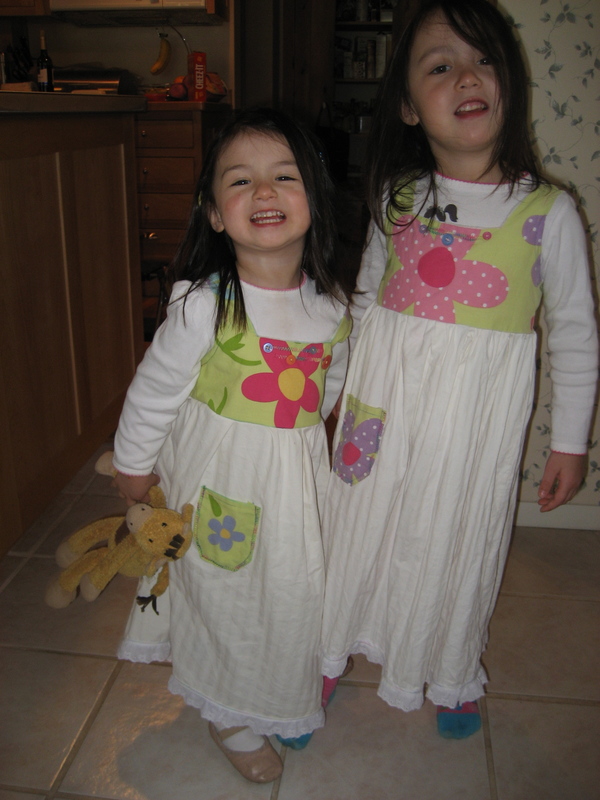 As it happens, I did succeed in sewing a dress for Campbell out of the remaining fabric. Then, with winter winding down, I figured my crafting would slow down, too. Dark, cold nights at the sewing machine would be replaced by light, warm nights sipping margaritas on the deck. I was wrong. 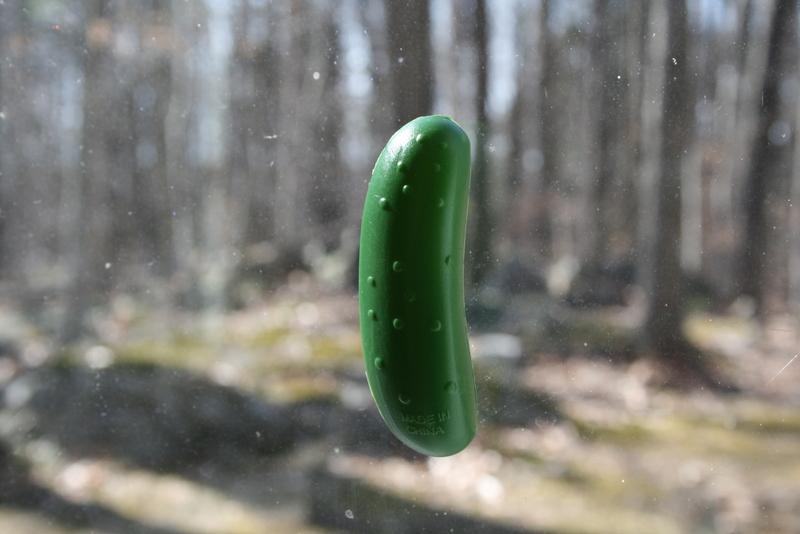 My crafty days were just beginning. Four-year-old girls and fashion are a funny combination. It amazes me how opinionated and stubborn Fiona is about her wardrobe; what she deigns to wear or rejects as unwearable follows no logic that I can discern. This can be heartbreaking for parents who have bought or made special clothes. Case in point: the mother of one of Fiona’s friends sewed her daughter an absolutely gorgeous dress — this is a dress that I would wear in a heartbeat. Her daughter refuses to wear it. As the mother of daughters, you learn not to take their fashion choices too personally. 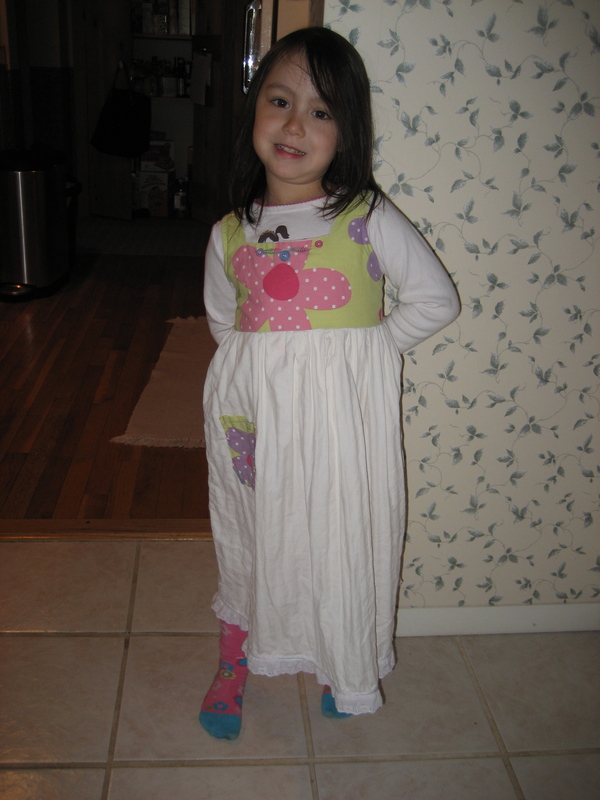 Fiona has loving and generous grandparents, and she’s also benefited from the generosity of friends here in Vermont who pass along clothes from their older daughters (figuring that, in our house, these clothes will get worn at least three times over). In other words, Fiona has a LOT of clothes for a little person. And I’d estimate that she wears about 1% of what’s in her closet. 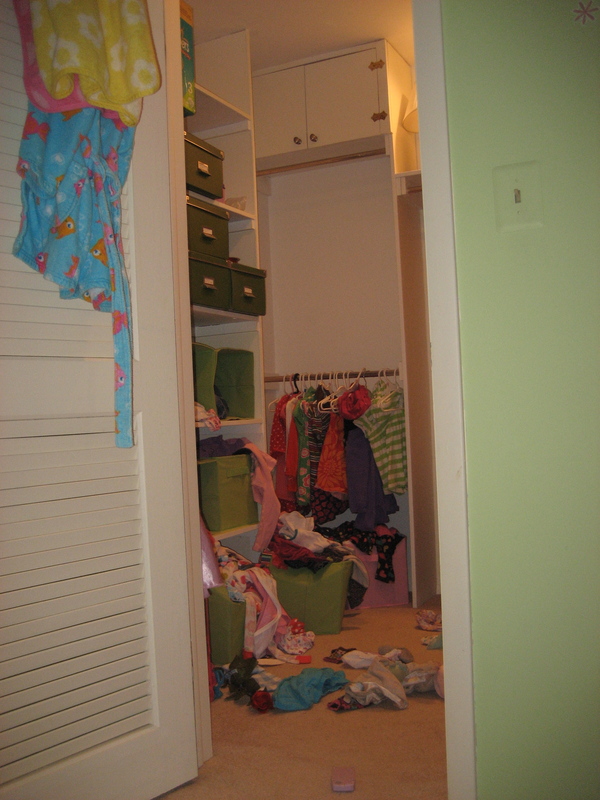 A quick peek into the girls’ ridiculous (and horrifying) closet. Fortunately, the dress I sewed for her made the cut. Just as I’ve learned not to take the refusal to wear certain clothes personally, I also don’t take Fiona’s love for this dress personally. She wears her “pink Mommy dress” not out of any sentimentality over the fact that I made it with my own hands, or because it’s a unique one-of-a-kind creation just for her. No: she wears it because it’s the longest dress in her closet. 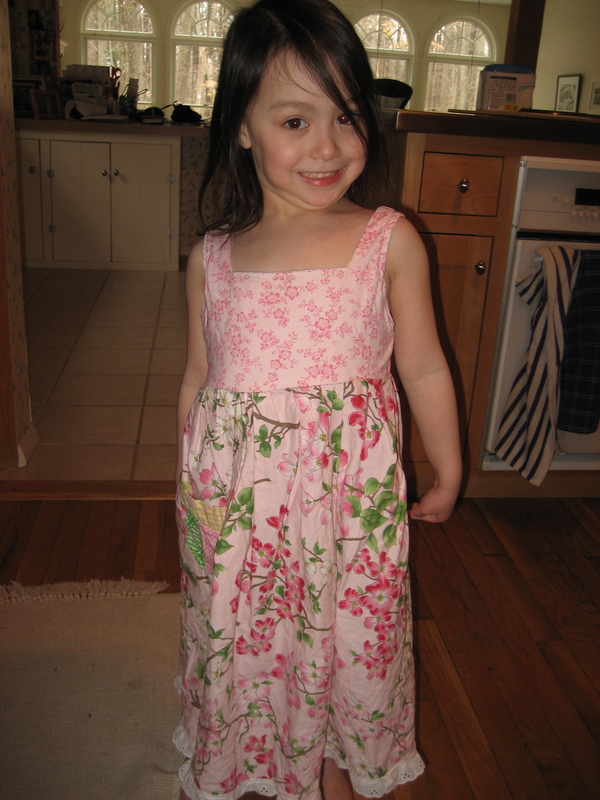 I used a 5T pattern for Fiona’s dress — a full size larger than what she’s currently wearing — because, frankly, if I’m going to the effort of sewing her a dress, that dress had better fit her for longer than 6 months. The dress does fit her, if a bit generously, but because Fiona is kind of a peanut for her age the skirt reaches nearly to her ankles. And the length of this dress happens to correspond with Fiona’s latest fashion goal: to popularize the maxi-dress for preschoolers. Around the time of her third birthday, just about when life became all about princesses, Fiona decided to wear only dresses. And then, a funny thing happened: due to some curious combination of increased modesty and a desire to look as princess-y as possible, the acceptable hem length for these dresses became longer and longer. They don’t make many long dresses for preschoolers, for the obvious reason that they’re completely impractical for running, climbing, bike riding, or most other preschooler activities. Then my dress showed up in the closet, and Fiona had suddenly found her fashion ideal. 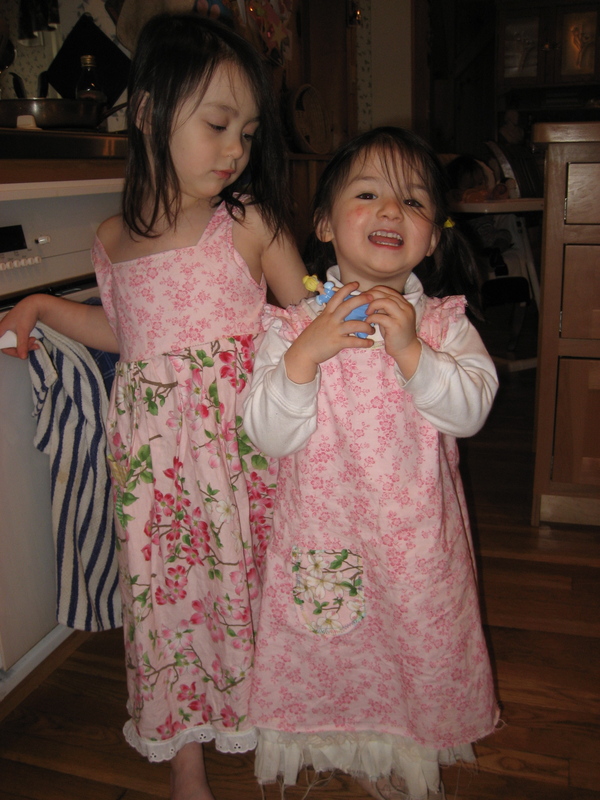 “Fashion” joins “eating” and “Disney princesses/Barbies” on my (alarmingly) growing list of “Things Not Worth Fighting Over.” I don’t much care whether my girls match or look ridiculous; as long as they’re properly covered, my inclination is to let them make their own fashion choices. Being “properly covered” was not an issue with this dress; what became an issue was the 72-hour stretch during which Fiona refused to wear anything else. At all. She’d sleep in the dress, and then wake up and announce that she was going to wear the dress to school. At bedtime that night, she’d insist that the dress wasn’t dirty and was her only choice for sleepwear. So, I made another dress. I used the exact same pattern, so that the skirt length would match. And I’m particularly excited about the fabric, which is recycled/found material from our house: the top is from the pillow shams that came with the girls’ bedding set (our family doesn’t do pillow shams), and the skirt is made from the duvet cover that Erick and I have used since we were first married, but recently replaced due to massive holes that kept tangling around our feet while we slept. Make a matching dress for Campbell.